Many Sierra Leoneans have widely acclaimed the recent appointment of Dr. Hannah Sao Kapto Max-Kyne by His Excellency President Julius Maada Bio to serve as the new Deputy Commissioner for the National Commission for Social Action (NaCSA) describing it as not only appropriate but also in the best interest of the nation. ition APC Party in Parliament, Hon. Chernor M. Bah, when her appointment was being vetted by the Parliamentary Committee on Appointments, expressed deep satisfaction on her appointment praising the President for taking the right decision. The result-oriented personality in the person of Dr. Hannah Sao Kapto Max-Kyne was indeed one of the thrust and engine behind the achievements bagged by NaCSA immediately after the war when the Commission was created to help address the social issues affecting people who were seriously devastated by the war. In 2002 to 2003 she was the Programme Manager, Admin and Human Resource World Bank funded Consultant. It was part of the wider national post-war social action which addressed the revitalization of NaCSA’s administrative and human resource components for effective programming as the programme transitioned from a humanitarian and relief provision to development focus. She is therefore no stranger to NaCSA, which could probably have influenced the President to take her back to her domain or ‘home’. Just before her appointment the erudite Dr. Max-Kyne was Assistant Director- General for Policy and Technical Cooperation in the Ministry of Foreign Affairs and International Cooperation. The job entailed providing technical oversight of the Technical and Economic Cooperation Directorate and the Research, Planning and Knowledge Management Directorate. Previously, she was Graduate Assistant, Department of African Studies and Research, Howard University, Washington DC, USA where she organized tutorials for undergraduate students, presenting seminar papers and organizing research events and expositions on different topical issues affecting the continent of Africa. The dynamic and very forward-looking lady worked as Practice Manager with the Special Care LLC in Maryland, USA. The Special Care LLC is a medical facility that provides primary and urgent care medical services at community level in residents of Montgomery and Prince George Counties. Back home, the new NaCSA Deputy Commissioner was a key figure within the Urban WASH Consortium where she served as Coordinator with her main duties comprising ensuring the effective implementation of the Urban Water, Sanitation and Hygiene Consortium Program, providing donor liaison, contract management with donors and consortium members and inter-agency coordination. She was Project Coordinator, Peace Building Fund Secretariat, in the Ministry of Finance & Economic Development and her main responsibilities were to ensure increased Government ownership and leadership of the peace building process. It also entailed establishing and maintaining linkages between the UN recipient agencies and the beneficiary organizations, providing technical and secretariat support to the Technical Review Committee. Undoubtedly, it goes without saying that her role in the restoration of peace in Sierra Leone speaks volumes, positioning her as an iconic figure and a huge force to reckon with. The country certainly needs people like Dr. Max-Kyne, with high caliber, national commitment to development as well as patriotism to see the nation catapult to an enviable position among the comity of nations. She really demonstrated this commitment to the consolidation of peace when in 2000 and 2002 she was Programme Manager of Relief, Resettlement and Rehabilitation under the National Commission for Reconstruction ,Resettlement and Rehabilitation(NCRRR) during which she managed and provided oversight for the nationwide relief and resettlement programme of the Government of Sierra Leone and coordinated the affairs of Internally Displaced Persons,ex-combatants including family reunification of child soldiers and Sierra Leonean refugees in neighboring countries of Guinea and Liberia. During a frank discussion with a seasoned Social Commentator he opined that the President did not make any mistake in appointing her to that position. “She is a performer and I am extremely happy that she will occupy that position and do her best to help alleviate poverty especially in rural communities,” he maintained. Others expressed the view that her appointment as Deputy Commissioner for NaCSA by His Excellence President Maada Bio was a move in the right direction especially as has contributed in widening the space for women participation in Governance. It is known that many admire her academic track record which has generated discussions bordering on the fact that she is indeed highly learned. As a matter of fact she is a part time as well as full time Lecturer at the University of Sierra Leone where she is molding young minds. 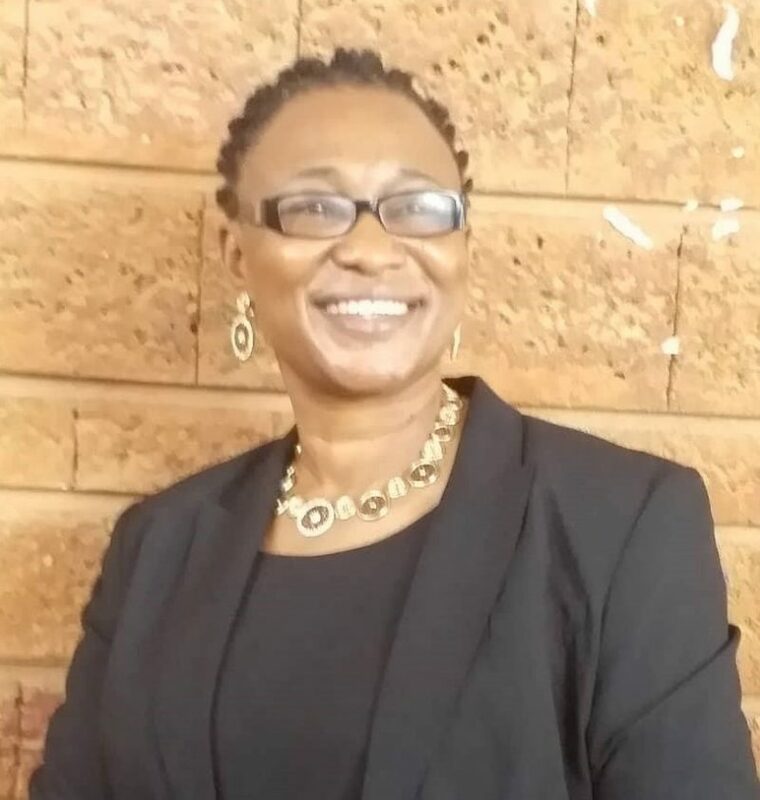 Her tasks there include teaching, research, public policy and development related courses (full time for 4 years) and part time (18 years) at Fourah Bay College, Njala University and IPAM as well as the University of Liberia at undergraduate and post-graduate levels. The highly accomplished academician holds a Ph.D in Public Policy & Development in African Studies and Research from Howard University in 2016, MBA from Maryland University College in 2013, M.Sc in Sociology and Anthropology in 1992 from the Obafemi Awolowo University in Nigeria and B.A from Fourah Bay College, University of Sierra Leone in 1990. A Development Management Masters student at IPAM said Dr. Max-Kyne with her team work spirit will be a perfect match with Commissioner, Abu Kokofele, in order to ensure that NaCSA delivers to the expectation of President Bio. Staff of the NaCSA unanimously described her as somebody who will surely give NaCSA a New Face.